According to industries, Samsung Electronics is launching foreign wire transfer service through SamsungPay at the end of this month. It is first going to work with two startup companies and eventually increase number of partners in the future. SamsungPay will be installed with outward wire transfer function that sends money from South Korea to foreign countries. Samsung Electronics is focusing on advanced countries such as U.S., Canada, Europe, and China. Its plan is different from those foreign wire transfer companies that focused on South-East Asian countries for foreign workers staying in South Korea. Samsung Electronics is planning to attract foreign exchange students on top of foreign workers as its customers. Individual foreign wire transfer market is worth about $9.75 million (11 billion KRW) as number of foreign exchange students has increased every year. This foreign wire transfer service through SamsungPay will be different from P2P (Peer to Peer) small investment. 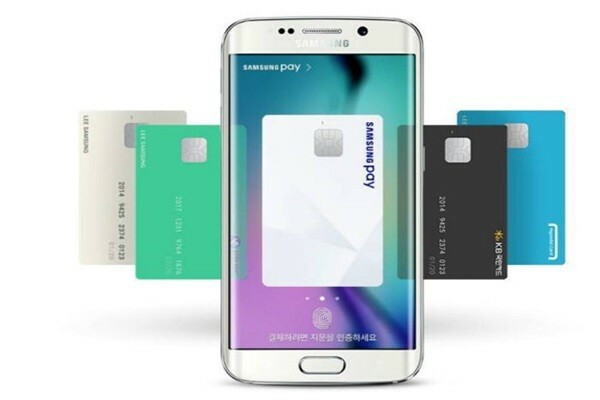 In last November, TeraFunding and PeopleFund out of recommended financial products were included within SamsungPay. However, banners for these two products only directed consumers to corresponding sites. This foreign wire transfer function can be used immediately through SamsungPay. To do this, Samsung Electronics added ‘foreign wire transfer service’ item to SamsungPay’s terms earlier this month. Through Galaxy Smartphone, one will be able to take care of almost every banking-related task such as payment, inquiry, transfer, fund, small investment, and wire transfer. Samsung Electronics is using free-funding and pooling method so that one can save up to 80% compared to commercial banks when it comes to wire transfer fee. Free-funding method is when large sum of money is sent to MTO (Money Transfer Operator) and money is paid by a local partner whenever there is a request made by a customer. Pooling method is when wire transfer requests by a customer is sent once a day. Because SamsungPay’s wire transfer function does not go through international financial network (SWIFT) that is used by commercial banks or intermediary banks, it has lower wire transfer fee.